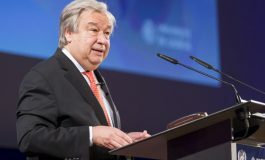 Ambassador Patrick N. Theros, former U.S. Ambassador to Qatar and Strategic Advisor, Gulf International Forum. Larry Michael, “Voice of the Redskins,” and chief content officer and senior vice president, Washington Redskins; was the evening’s master of ceremonies. AHI Vice President James H. Lagos, Esq., introduced Michael. The Marines of Headquarters Battalion presented the colors and the American and Greek national anthems were performed by Georgios Theodoridis, master chanter and director of Music Arts, St. Sophia Cathedral, Washington, D.C. Reverend Dimitrios J. Antokas, Saint George Greek Orthodox Church, Bethesda, Md., offered the invocation. Maria Pierce entertained the audience with a musical interlude. Apollonia provided musical entertainment. AHI Foundation President Constantine Galanis offered greetings and introduced AHI President Nick R. Larigakis, who reviewed the Institute’s initiatives and programs that are provided to the community. 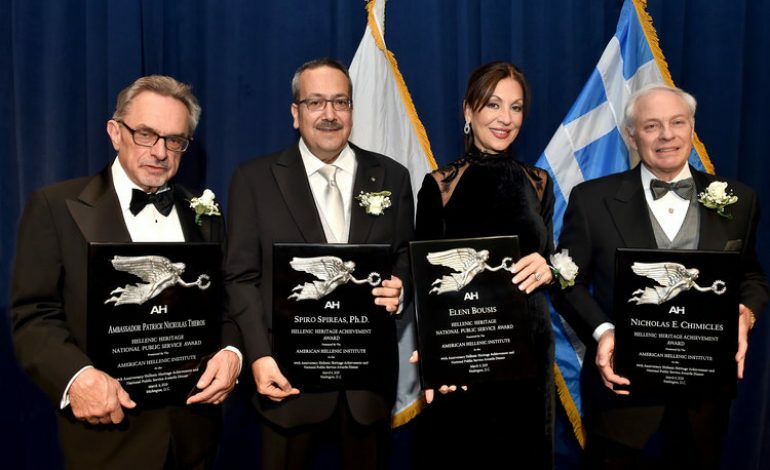 “Tonight we honor four outstanding members of the Greek American community for setting an example not only of professional excellence but of selfless service to others, which is the ultimate definition of the ideas of Hellenism,” AHI President Nick Larigakis said. Philanthropist Eleni D. Bousis received the AHI Hellenic Heritage National Public Service Award in recognition of her faithful service to the vulnerable and marginalized populations across the globe. In acceptance, Bousis stated, “I am very humbled, touched, and grateful to AHI for recognizing my efforts in making a difference for humanity. It is a very gratifying experience. 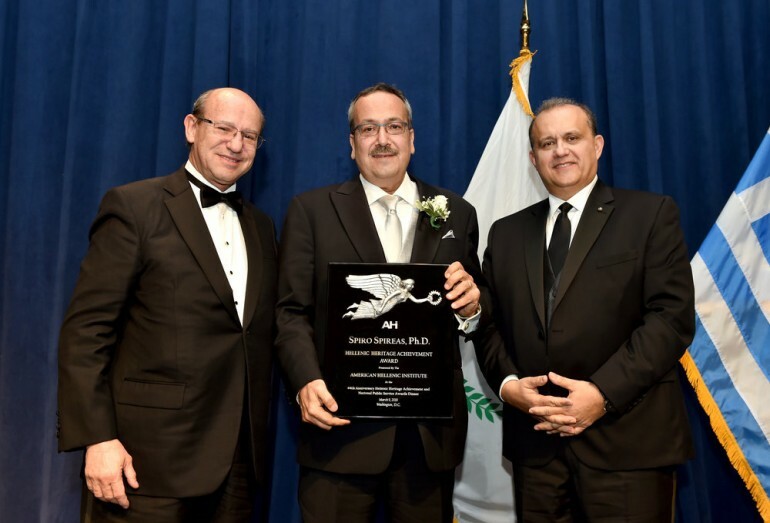 Renowned Attorney and Legal Scholar Nicholas E. Chimicles received the AHI Hellenic Heritage Achievement Award for his contributions to the legal profession and his commitment to justice and the rule of law. 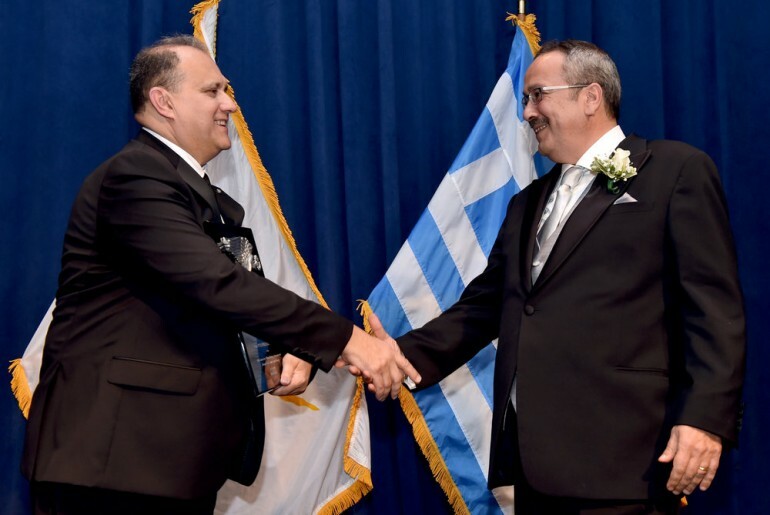 AHI presented Entrepreneur and Scientist Spiro Spireas, Ph.D., with the AHI Hellenic Heritage Achievement Award for his outstanding achievements in the field of pharmaceutical science and for his leadership of, and service to, the Greek American community. Former U.S. Ambassador Patrick Theros received the AHI Hellenic Heritage Public Service Award for his distinguished public service to the United States and for his tireless pursuit of religious freedom. 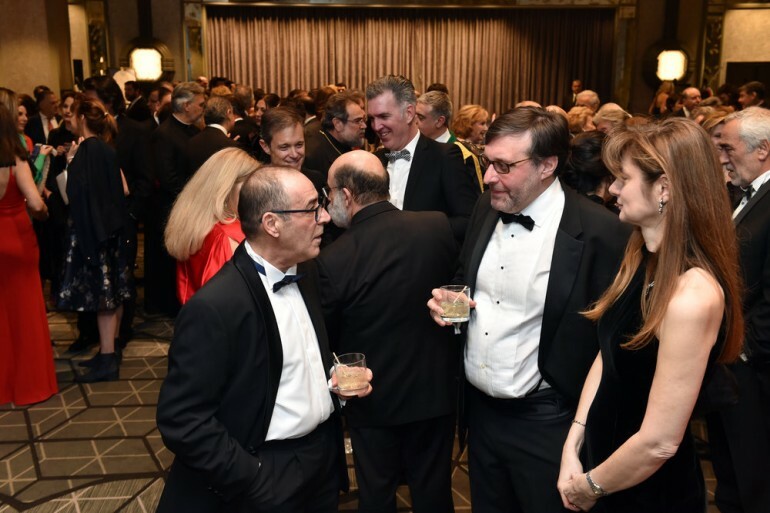 Special guests attending the event included: Ambassador of Greece to the United States Haris Lalacos, Ambassador of the Republic of Cyprus to the United States Marios Lysiotis, U.S. Senator Chris Van Hollen, who attended the reception; Deputy Assistant Secretary of State for Europe and Eurasia Matthew Palmer; and Deputy Assistant Secretary of Transportation for Aviation and International Affairs David Short. 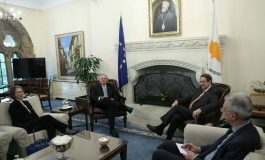 As part of the weekend’s festivities AHI hosted a breakfast briefing with Ambassador of Greece to the U.S. Haris Lalacos and Ambassador of the Republic of Cyprus to the United States Marios Lysiotis, on March 9. 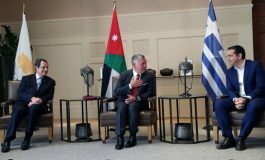 The relevant topics affecting both countries were discussed by the two top diplomats. AHI President Nick Larigakis moderated the discussion. A lively Q&A session followed. 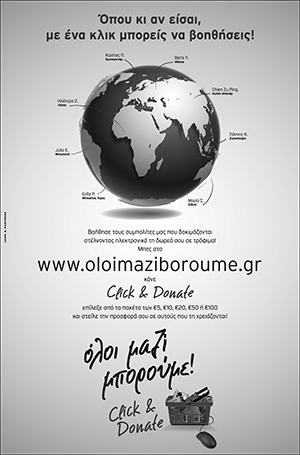 Moreover, as part of the weekend’s festivities, major benefactors and supporters attended AHI Greek Night hosted at Kellari Restaurant, March 8. Special thanks to AHI board member, Dr. Athina Balta for organizing the Greek Night.